This is a game that is similar to I Have, Who Has? game. 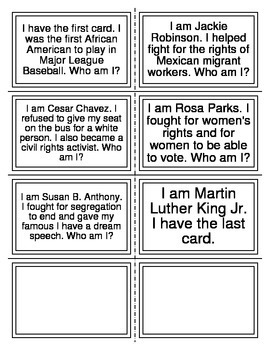 The game give clues about historical figures and the students have to read their card if they have the answer to the riddle. This game can be played in small groups. I also have a quiz that goes along with this game.